Incredible Investment Opportunity! 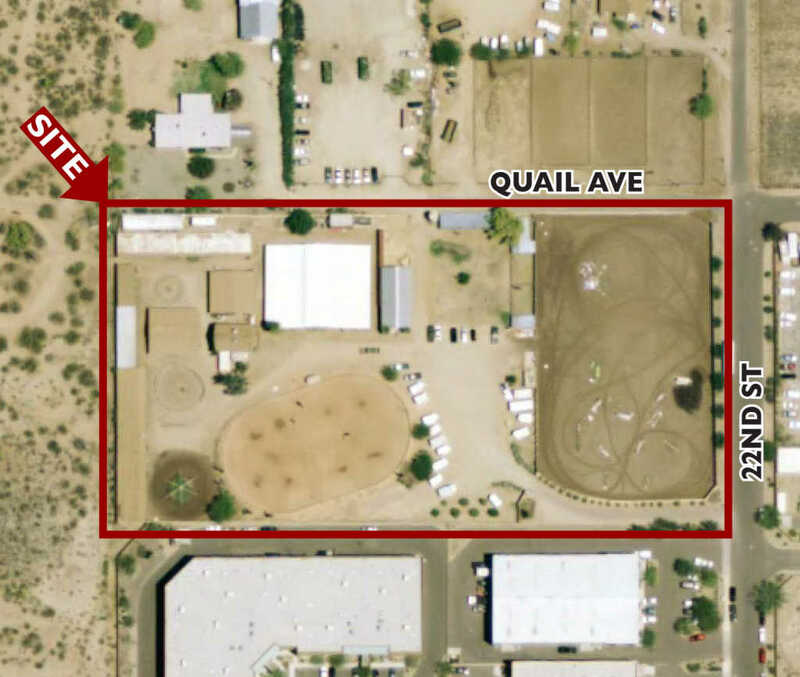 Enjoy your horses now on this pristine boarding & training facility conveniently located close to the 101 & Cave Creek Rd. Great Development Potential in the future with this prime piece of commercial real estate. Amenities include 2 Lighted Riding Arenas 120′ X 200′ & 185′ X 298′. Stabling includes: 42 Box stall barn w/auto water’s. In addition there are block barns with 27 over sized box stalls. Hot walker, Round Pen, Hay barn, Wash racks,Tack rooms, Storage Buildings, Turnout Paddocks & pens. Entire property surrounded by masonry wall & gated entry for complete privacy. Manager’s house with office & lounge for the boarders. Direct access to miles of trails. Currently run as horse boarding and training stable. Approximate size: 192143.00 sq. ft. Please, send me more information on this property: MLS# 5669700 – $2,425,000 – 2105 E Quail Avenue, Phoenix, AZ 85024. I would like to schedule a private showing for this property: MLS# 5669700 – $2,425,000 – 2105 E Quail Avenue, Phoenix, AZ 85024.